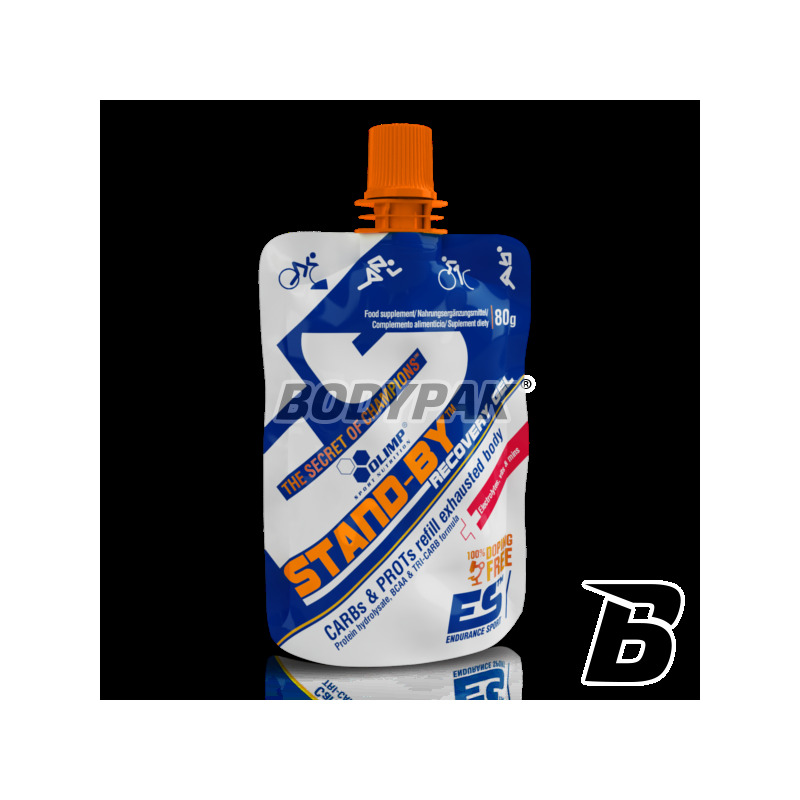 Stand By Recovery Gel is specially selected ingredients ideal for use after exercise or other physical activity. 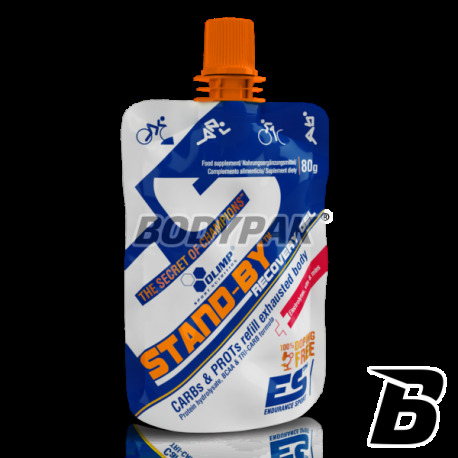 Each tube contains 45 grams of carbohydrate from 6 sources of varying absorption, and in addition 5 grams of protein enriched in branched chain amino acids (L-leucine, L-valine, L-isoleucine). Carefully analyzing the physical, to which they are subjected to people practicing sports endurance, we note that it is often the work of a large characteristic change, where activities such as dynamic starts, quick changes of direction, sudden braking and acceleration, as well as overcoming a time longer distances with different speeds, extremely smoothly intertwined, building a globally high-intensity effort. In such conditions, anaerobic mechanisms of energy production are supplemented by oxygen metabolism, which, overall, are the dominant source of energy produced by the body for the purpose of realized effort. For this reason, well composed supplementation should include the use of high-quality preparations for the players, allowing maintain the high efficiency of aerobic and anaerobic energy production (eg. ENDUGEN ™). Gros emphasis, however, should include creating the conditions for food (use of advanced supplementation) allowing for the fastest possible recovery of the body after intense physical activity and obtaining the status of super-compensation of energy resources (carbohydrates) and building blocks (proteins). The greatest progress Training mainly due to regularity, which guarantees us adequate nutrition and regeneration of the body's energy reserves. During and after intense exercise followed by damage to the muscle fibers, a significant reduction in energy reserves (muscle and liver glycogen) of the organism, as well as fatigue of the nervous system. Proper timing of food properly composed meals are crucial when it comes to performance during exercise, as well as the recovery post-workout. Since the achievement of exhaustion, the body begins to increase the regeneration of energy reserves (glycogen restoration), and protein synthesis, in order to rebuild damaged muscle fibers. Bardzo szybko postawił mnie na nogi po ciężkim, górskim biegu! Z czystym sumieniem polecam !